Taiwan-based research institute, ITRI, announced that it won Silver in the Transportation & Logistics category at 2019 Edison Awards with its integrated road safety solution, iRoadSafe. According to ITRI, iRoadSafe is the world’s first V2X safety system solution integrating V2V/V2I communications, roadside sensing, and CMS (Changeable Message Sign) technologies to provide safety warnings for all road users, including those without on-board unit (OBU) installation. To break through the limitation from OBU installation, iRoadSafe integrates advanced roadside sensing technologies such as radar, LiDAR, and cameras, to detect all moving objects on the road and broadcasts extensive V2V Basic Safety Messages (BSM) through Roadside Units (RSUs). 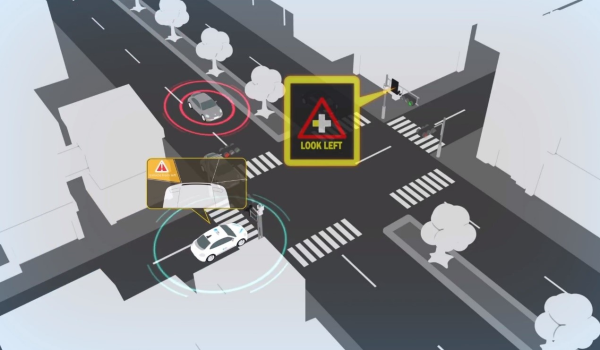 iRoadSafe can even issue alerts through roadside CMS, to improve intersection safety and protect all road users such as vehicles, motorcycles, cyclists, and pedestrians. “We’re thrilled that iRoadSafe has been recognized by the Edison Awards,” said Dr. Tzi-Cker Chiueh, ITRI’s Vice President and General Director of Information and Communication Research Laboratories. “It is an innovation that addresses the emerging trends of smart transportation and will play a vital role in vehicular communication and furthermore in integrating with autonomous driving,” he stressed. The DSRC equipment of iRoadSafe, IWCU, has been tested by the US Department of Transportation and selected to be on the research Qualified Products List (rQPL). iRoadSafe has been deployed in accident-prone sites in several cities in Taiwan, including a trial with a bus service and light rail transit system. The initial results have shown that it has a substantial impact on cutting down the accident rate.